It’s been a while since Toby Whithouse has entered our tale, and things have changed a lot since then. In the leadup to Twice Upon a Time Moffat joked that he’d had Whithouse write for every season, and the one time he didn’t he made him write two the next season. This is true, but obscures the fact that Whithouse contributed to the first half of the split Series Seven such that there were three full years between A Town Called Mercy and his next contribution. When A Town Called Mercy aired he still seemed like one of the most likely heirs apparent. There remain rumors that in the fuss about Moffat’s slower pace of production than Davies Whithouse had been offered the opportunity of stepping in as some sort of co-showrunner or to helm a single season, which he supposedly declined as the obviously poisoned chalice it was. And my past treatment of his work, going back to covering No Angels as a Pop Between Realities prior to School Reunion, has been rooted in the assumption that he’d probably get the job. Obviously that’s not what happened, though. By rights, Moffat should have left. Sure, he’d done a season less than Davies, but it was clearly time. Each of his three seasons had been a step down from the one before, with Series Seven being an openly miserable experience. The Day of the Doctor and Matt Smith’s departure provided an occasion where he could leave on a high. His style had become exceedingly recognizable and recognized, which is the phase right before utter stagnation. It was time to go, and if he didn’t he risked—indeed, given the tenacity of his critics, essentially ensured—that there would be accusations that he stayed too long. But, of course, he didn’t. He retrenched, got a new star and executive producer, and went back to try again. This is the story of how that went, and of what may be Doctor Who’s most unexpected golden age. Well, something had to knock Doctor Who off its Hugo perch. 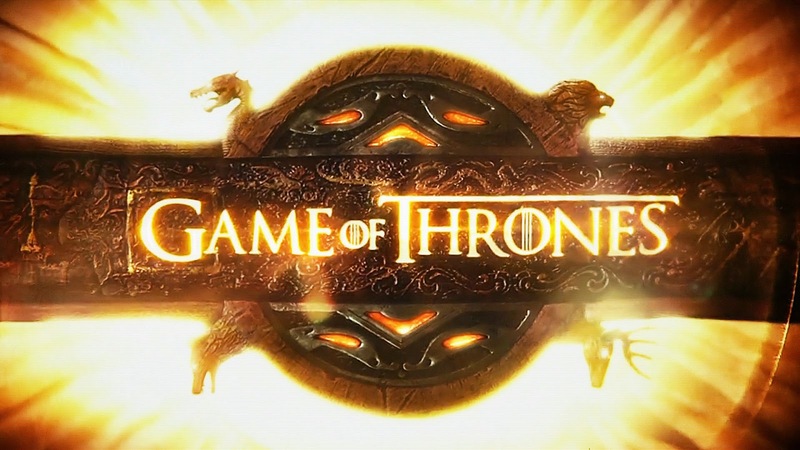 And after competing in long form for its first season, Game of Thrones seems to have cemented itself as the Hugo frontrunner with back-to-back victories over Doctor Who in 2012 and 2013. 2012 was perhaps understandable: It wasn’t an extraordinary year for Doctor Who, and Game of Thrones did have “Blackwater,” which was a stunningly good Peter Dinklage vehicle of an episode. Even in 2013, you can possibly criticize the strategy of having Doctor Who go in with Day of the Doctor, Name of the Doctor, An Adventure in Time and Space, and The Five-ish Doctors as possibly weaker than the strategy of just chucking “The Rains of Castamere” up. Jill Buratto is a nurse specializing in end of life issues, a general badass, and my wife. 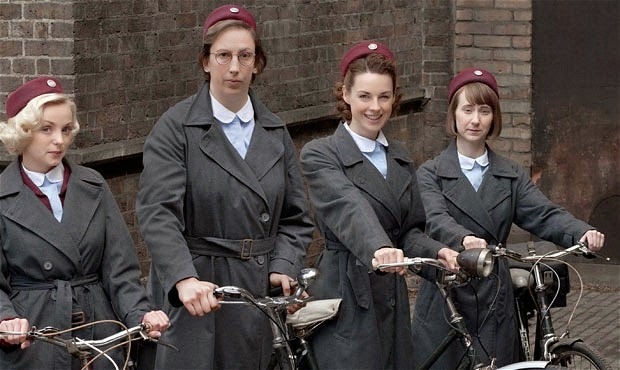 In case you missed the boom, Call the Midwife is a BBC period drama about a group of midwives servicing London’s East End in the 1950s, originally based on the memoirs of Jennifer Worth. It is the newest big show to hit UK television with ratings roughly matching those of Sherlock and Downton Abbey and surpassing Doctor Who itself. Call the Midwife was also featured in 2013’s Comedy Relief sketch (partnering with Doctor Who in this endeavor) and has Paul McGann’s brother, Stephen McGann as a prominent character in their series. UK TV ends up being a bit incestuous.